The All New "Stealth Walker"
The decision was made to finish the all new Stealth Walker canes with an innovative, flat-black Grip-Tech powder coating finish instead of the natural aluminum anodizing. This finish is absolutely amazing! It is a textured finish that provides an exceptional gripping surface, and it's extremely durable. There is no other cane finish like it anywhere. 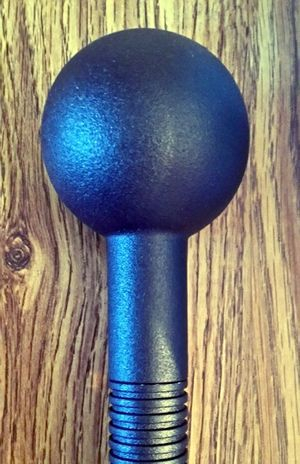 The clear natural anodizing finished canes will be phased out due to the difficulty in getting the cane parts finished to match perfectly. These mismatches were caused by having clear anodizing done at different times for different cane parts. The Grip-Tech finish solves this inconsistency dilemma and also provides a much better, non-slip grip on the handles and shaft. Note: A limited supply of the new Varnier and Cue Ball non-anodized natural aluminum handles will be available for those who want one of the new handles to match their existing natural finished canes. 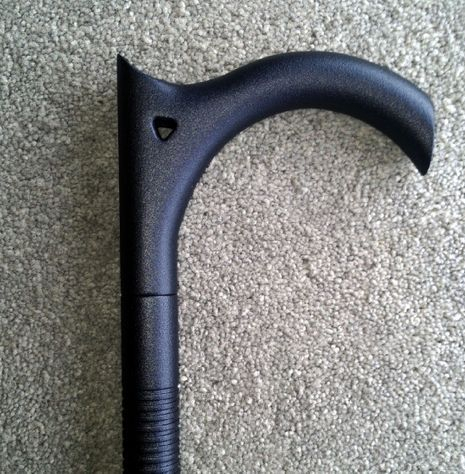 A complete machined and forged walking cane set like the Stealth Walker has never been made before, and certainly not one finished with the new Grip-Tech non-slip powder coating. The set will consist of one shaft and six interchangeable handles. When the handles are switched, the cane length of 38 inches or your cut length will remain the same. You will be able to choose your handle for comfort, security or protection and not be concerned about the cane being too long or too short. Cane users have long been concerned about length differences when using different handles or switching canes. 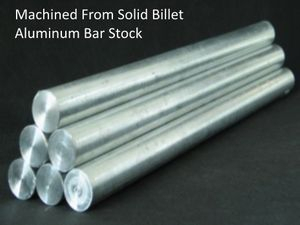 This problem is now solved and this innovative cane will be sold as a complete set or individually, machined and forged from solid aluminum billet bar stock. It doesn't get any better than this. Coming Soon ! NOTE: All Stealth Walker Handles Are Retrofit And Will Attach To Any Of The Previously Manufactured Shafts. Each Handle Is 3-3/4 Inches Tall. 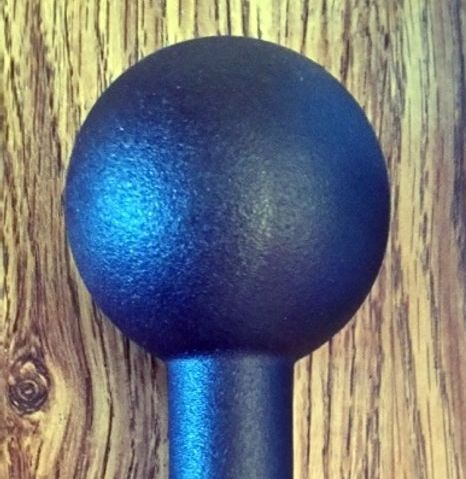 Below Are Photos Of The New Varnier Handle And Cue Ball Handle Finished With "Grip Tech"